Gilbert Schools!! Peace and tranquility await you on your own personal ranch. Relax on the spacious, 36 wide, screened patio while you breathe in the country air and meditate over morning coffee. Lovely country setting on 3+ acres with fenced and cross fenced pasture land. Large 6 stall pole barn with 5 clay bottom stalls and one concrete floor stall to use as a feed/tack room. Spacious alleyway provides ample room for parking recreational or farm vehicles. New barn roof in 2015. 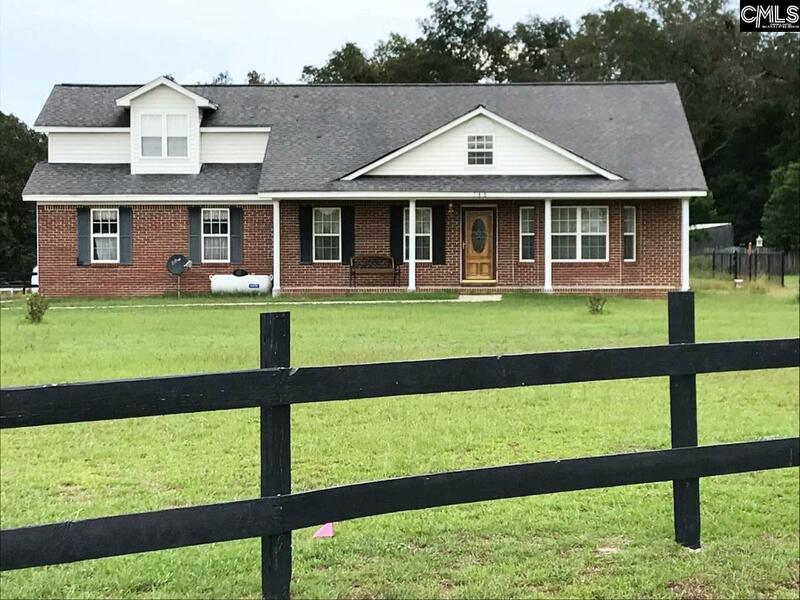 Quaint country home has been completely remodeled with new kitchen cabinets, counter tops, appliances, bathrooms, flooring, HVAC and hot water heater. This home is Move In Ready and waiting on you. Seller offering additional 3 acres adjacent to Whiteplains Plantation Aviation Community.